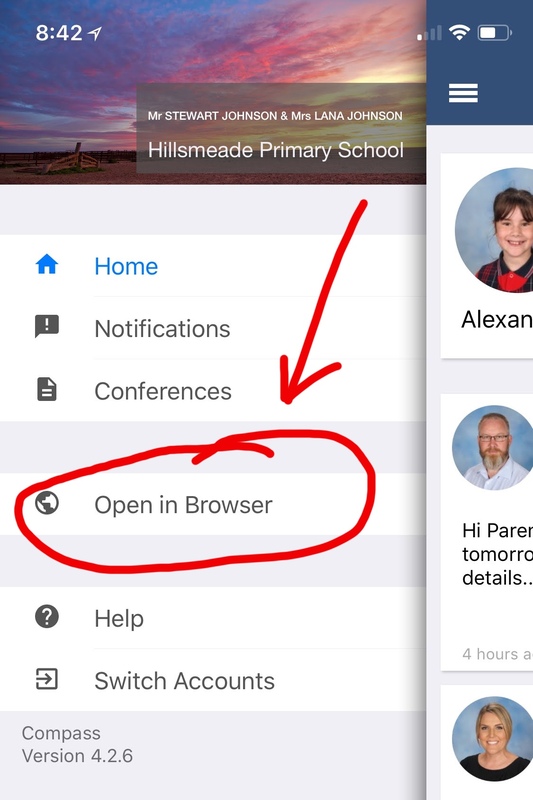 In today’s tip we’ll explain how to contact your child’s teachers through Compass. The process is slightly different between the Compass website and Compass app. 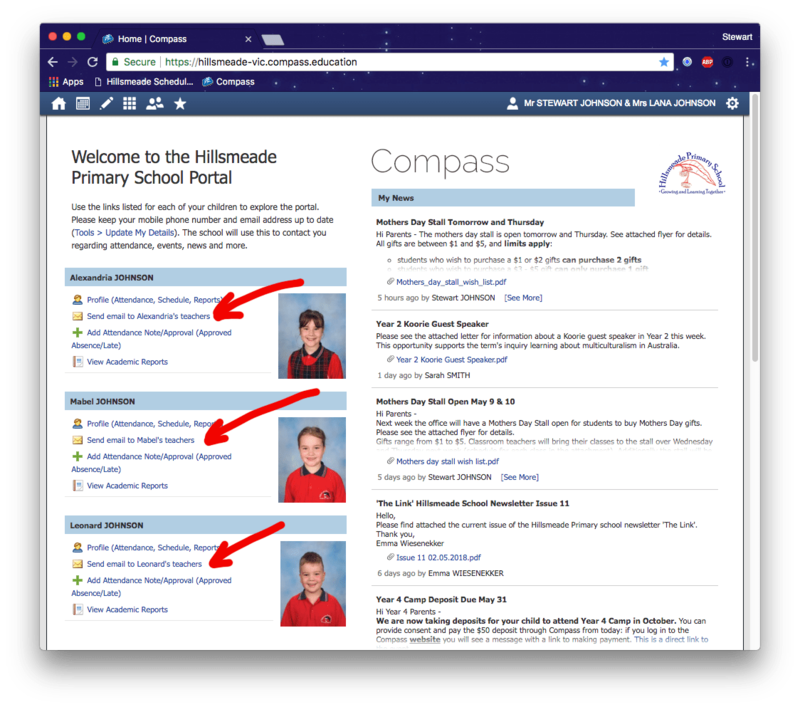 When you first log in to Compass in a web browser, you will see your children on the left-hand side. Next to each child will be a link Send email to Child’s teachers. When you click this link, a new window opens that allows you to compose an email. You can add a subject and a message body, and there are formatting controls to add lists and tables. On the right-hand side you will see a list of all the teachers that have your child in a class. Typically it will be their main classroom teacher, and then the specialists who take them for Music, Art, Mandarin and Physical Education. You don’t have to send email to all those teachers, you can click the red cross to remove the ones you don’t wish to contact. 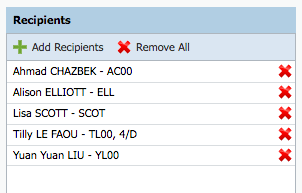 You can also click Add Recipients at the top to add them back. Please note: you will only be able add teachers who have your child in a class — you cannot email arbitrary teachers across the school. 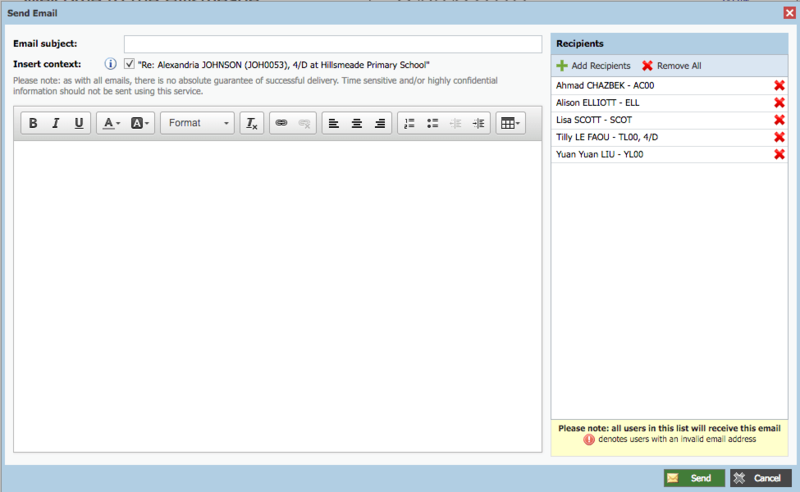 If you need to contact a staff member other than your child’s teachers, please use the school’s email address. Lastly, click Send at the bottom of the window. 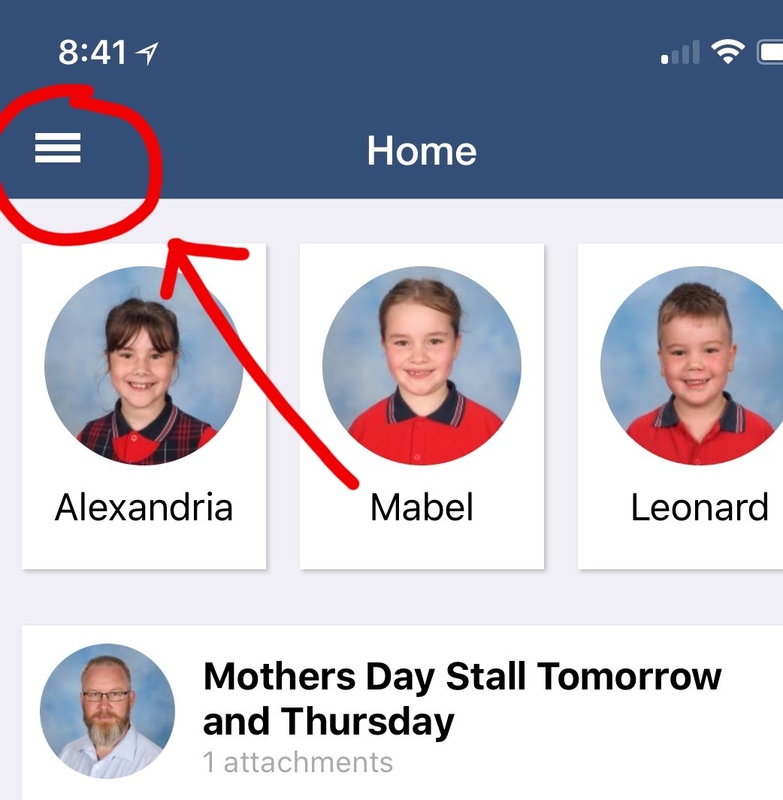 The teachers in the Recipients list will receive an email from Compass with your message, you will also receive a copy of the message in your own email — the email you receive will contain your message and the list of teachers who received it. 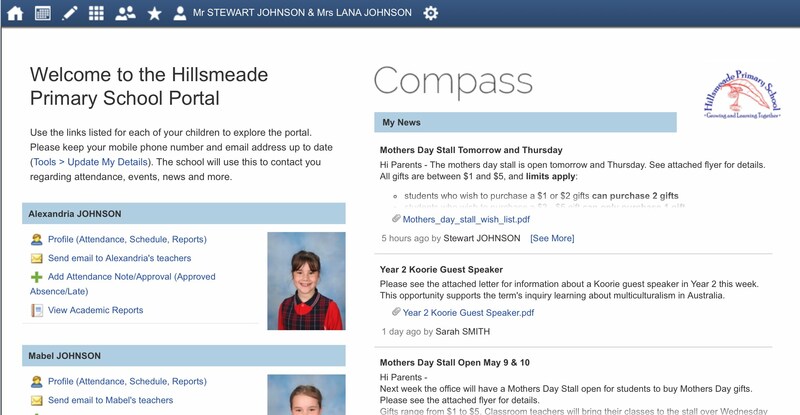 To email your child’s teachers, you will need to use the Compass website — it’s not a function supported by the app. Fortunately, you can access the website directly from within the app. To start, click the 3 little lines (☰) in the top left-hand corner (sometimes called the hamburger button). Then choose the Open in Browser button. The Compass website will open in your app. 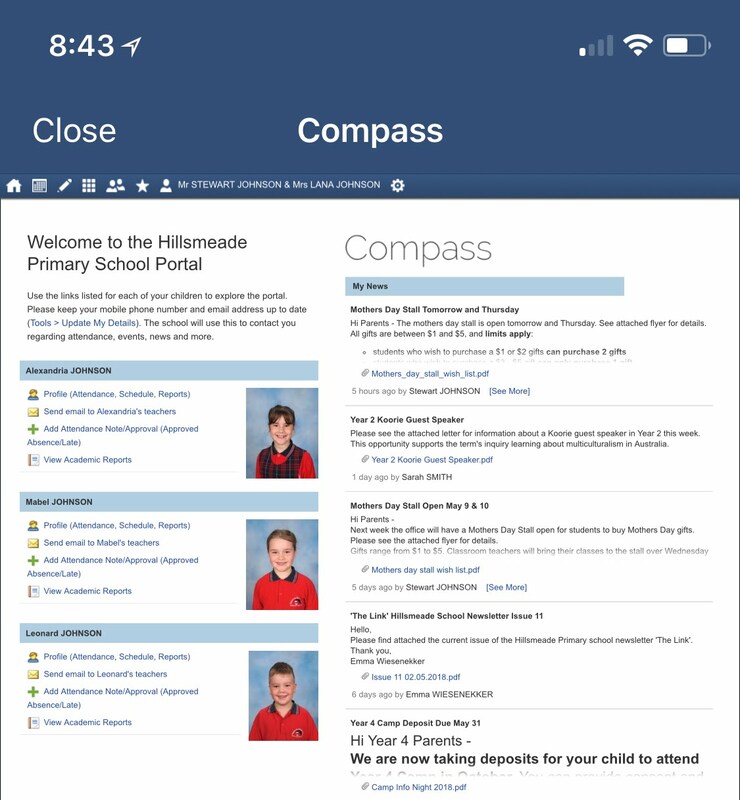 If you’re using a phone it may be a bit small — we have found it’s easier to open the Compass website directly in Safari on your iPhone as the rotation option works better and you can more easily access the Compass functions.